In the city of Bucharest, consisting of mainly Romanians, Hungarians, Turks, and Germans, it’s interesting to know that there’s a restaurant serving solely Korean food. Its name: Seoul Restaurant. 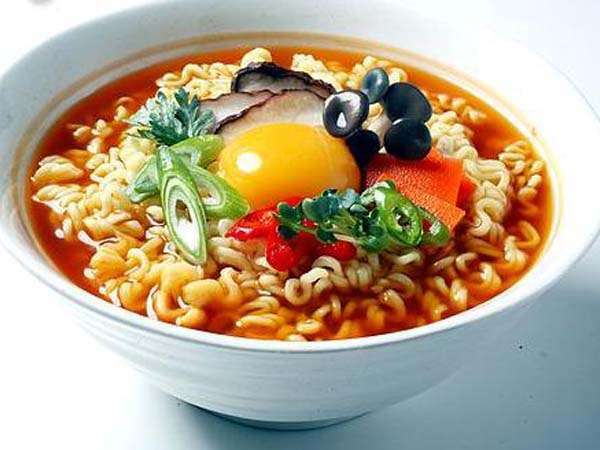 With the help of their native Korean head chef, Seoul claims to incorporate salty, sweet, spicy, sour, and bitter tastes into their dishes to capture the essence of traditional Korean food. As someone who is open to try a variety of international foods, I just had to go there to see so for myself. So, I gathered two of my food-loving friends and my older sister to check it out. Finding the place was probably the most difficult part of our endeavor. Its sign was hard to spot, the paint was a very plain and, in general, the outside of the restaurant did not seem to be maintained well. But it was only when we got upstairs that we were able to see the restaurant’s true beauty. The first thing we noticed was the oriental decorations, particularly the lights, that gave off a gentle yellow glow that enhanced the room’s ambiance in spite of the grey, rainy day that broke through the windows. 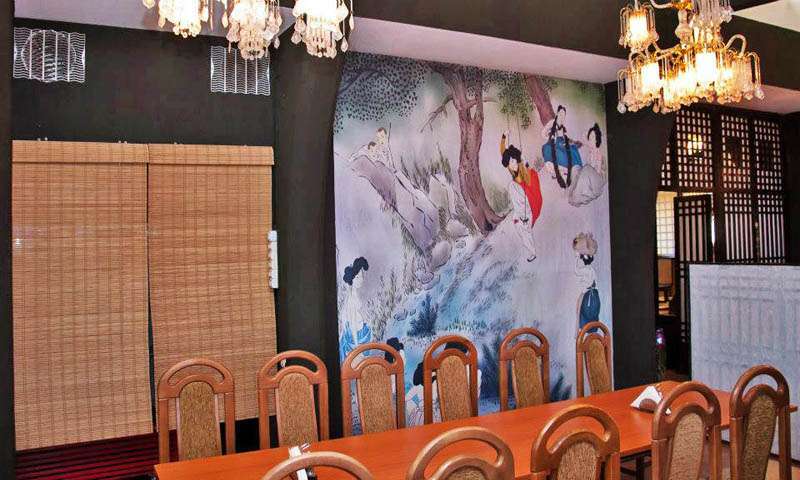 To add to this, there were televisions that played K-pop music videos for patrons to watch while enjoying their meal. A waiter approached us almost immediately after we sat down. She spoke in a friendly tone with a radiant and honest smile on her face, and she, along with other servers, checked back on us to see how we were doing after we ordered. The staff even turned up the volume on a music video that my friends and I liked! The attitude of the employees made me feel very at-home. 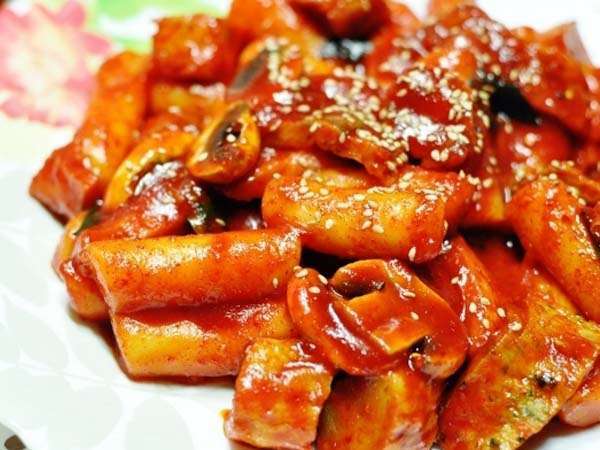 We only waited for what felt like 10-15 minutes before the first dish arrived: tteokbokki. These are rice cakes flavored with a spicy-yet-savory sauce. Although the spice was not ‘painful’, it did linger for a while and slightly overpower the other flavors of the dish. Still, I enjoyed eating it alongside other dishes; I do raise a warning flag for those who cannot stomach spicy food, though. The next dish we received was ramen. The soup was chicken-flavored and savory, but not overly salty. As described by my older sister, it was, “very umami.” As someone who eats an unhealthy amount of instant ramen, I can confidently say that I prefer the real deal. I was eager to see the arrival of the two dishes I was most excited to try: jjajangmyeon (black bean noodles) and beef bulgogi (grilled beef, marinated in sweet soy sauce, garlic, and sesame oil). The black bean sauce was sticky and sweet, in contrast to the noodles which weren’t soggy or too soft, but instead, had a chewy texture. It was unlike anything I had ever tasted before, so it might taste odd at first, but jjajangmyeon will definitely grow on you. 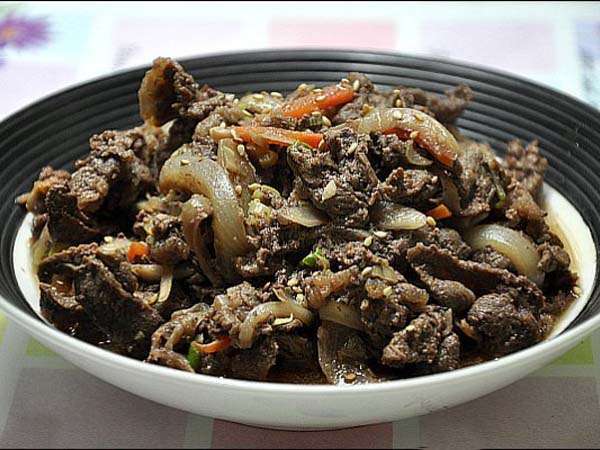 The flavor of the sweet soy sauce and sesame oil in the beef bulgogi were the most evident. I believe my friend’s first words after taking a bite were, “Oh, wow,” before standing up and serving herself more of the mouth-watering meat. 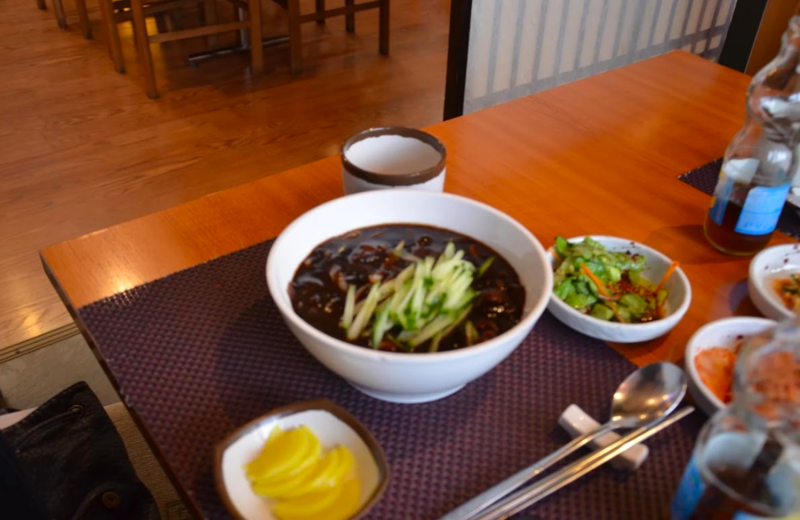 As a group, it was probably our favorite dish and, when paired with the jjajangmyeon, it made an unbeatable combo. 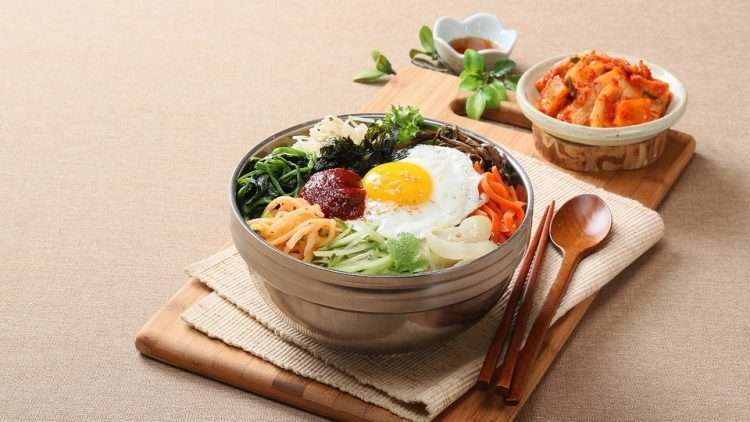 I would recommend eating these dishes with each other, along with another of my favorite dishes: bibimbap (mixed rice). This was served on a hot-plate; something that fascinated me way too much. The rice gave off a lot of steam when it was handed to me, and the heat from the plate caused the rice to make delicious crackling noises. The vegetables were fresh and piquant; they tasted even better when paired with the egg on top, cooked sunny-side-up. 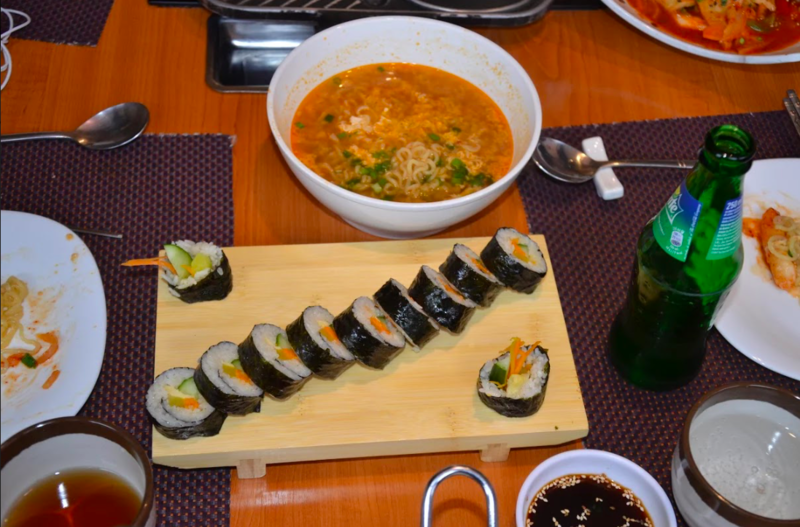 Then came kimbap: rice, vegetables, and meat served in a seaweed wrap. One would assume that kimbap would taste similarly to Japanese sushi, but the flavor was, in fact, entirely different; perhaps due to the taste of the seaweed and the lack of fish. Nevertheless, it was a simple yet tasty accompaniment to the other foods we ate. 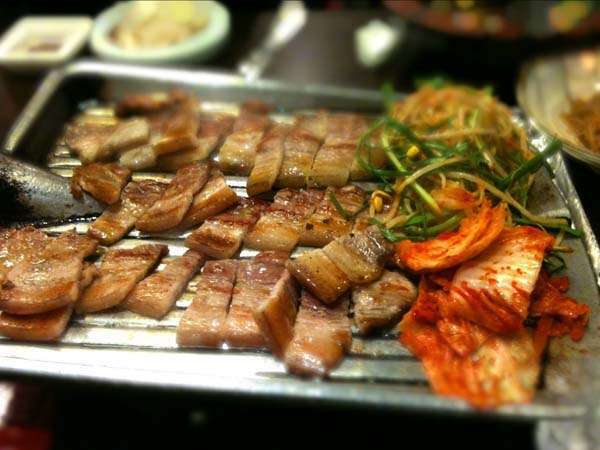 Last and certainly not the least, our samgyeopsal arrived (pork belly). The waiter served us the raw and seasoned pork belly, and since there was a small stove in the center of our table, we were handed the opportunity to cook it by ourselves. Cooking samgyeopsal for the first time did not take that long to get the hang of, but you have to take caution; the meat sticks to the stove very easily. There were still a few limitations with the pork itself. One of my friends says, “the meat tastes good, and I like the idea that you can cook it yourself, but it’s very boney.” So although the bones aren’t a huge hindrance to the taste or experience of eating samgyeopsal, one must take caution while eating it. Considering the fact that I had a dream about Seoul Restaurant the night after we went, I would definitely recommend this place to my other friends. It’s a great location for hang-outs, parties, dates; basically, any occasion that may involve enjoying food with others (or by yourself, of course). 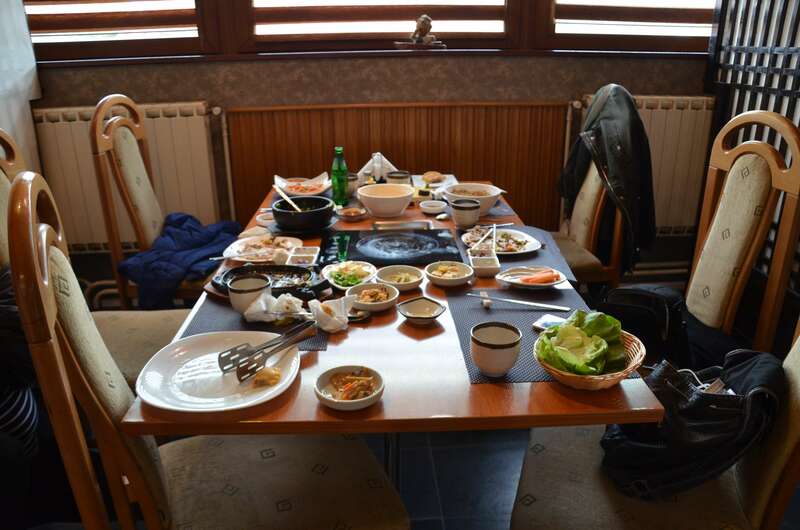 Although the food was pretty expensive, I’d say that it makes sense since the existence of a Korean restaurant in Bucharest is a rare quality. I’m definitely thinking of ordering from the restaurant when I next get the chance. 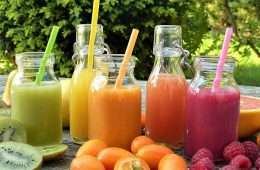 Address: Strada Aviator Mircea Zorileanu 89, București 012054. 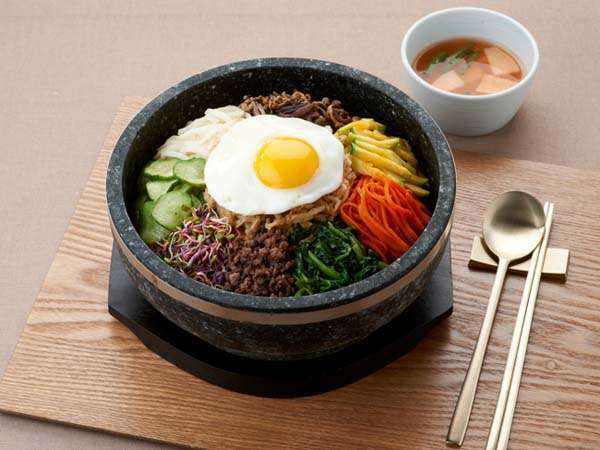 Ooh, nice – I am need of some bibimbap! Has this place received the “Joon Ha” seal of approval? I’m not sure if it has the “Joon Ha” seal of approval, but it’s definitely got the Toyosi seal of approval ;). -T.A. I will definitely recommend this to my Korean (and Korean loving!) friends! Desi traiesc departe de restaurantul ” Seoul”, tot fac drumul de 30 min pana la aceasta sa mananc preparate coreenee atat de gustoase si la pretul rezonabil. Recomand cu toata inima:).